Things are heating up here at the BRBC. We’ve just wrapped up a crucial round of fundraising and now we’re hot on the trail of a good location to set up shop. One day soon we will have a taproom kitted out, a brew kettle fired up, and our fermenters bubbling away with tasty brew. That will be the day. In the meantime, we’ve been working on a recipe to keep the cold February nights at bay. 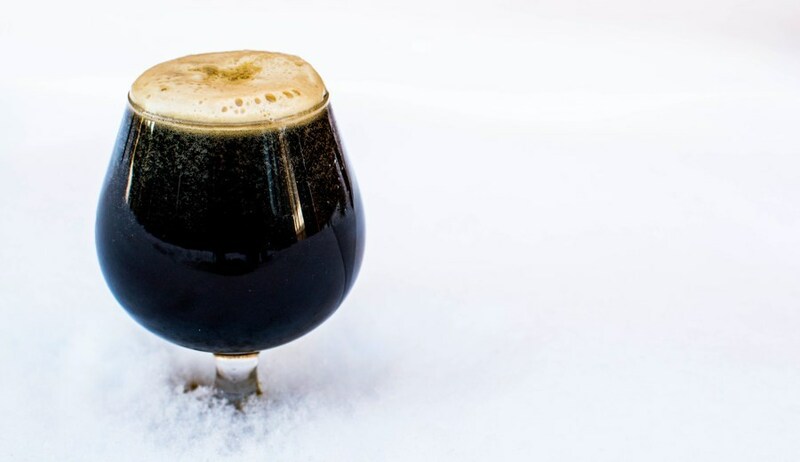 It’s a winter warmer, in the style of an Old Ale, brewed with a cornucopia of American and British hop varietals and a robust grain bill of 2-row, crystal malt, and roasted barley. It pours deep ruby in color with a dark khaki head, and the smell is of sweet malt and a hint of citrus and spice from the hops. In the mouth it’s smooth and crisp, with notes of caramel and toffee turning into dark fruit and sherry, and all of this complexity over a rich backbone of toasted malt. There’s a hint of sweet candy in the aftertaste, and at 6.8% it gives a slight glow on the way down. So with the snow finally falling in south-central Alaska it’s a good brew for keeping the spirits up, and for toasting all our friends and supporters who have helped the BRBC get this far. Cheers!